Hosted by Tomas Hult, this segment of the globalEDGE Business Beat is an interview with Doug Barry, Vice President at Conover + Gould Strategy Group. Previously he held various internationally focused positions in the U.S. Department of Commerce (most recently as Deputy Director). Tomas Hult is Professor and Byington Endowed Chair in the Eli Broad College of Business at Michigan State University. This is one of six segments from August 2017 of the globalEDGE Business Beat on the importance of international trade with various topic experts (Doug Barry, Charles Hill, Mohamed Abdel-Kader, Sarah Singer, Kirt Butler, and Ram Mudambi). Each participant addressed: Why is international trade important for (1) countries and (2) companies; how should a company start looking into trading internationally; and what country markets, and customer segments within those markets, have the strongest potential in the next decade. The six experts’ answers and diversity of strategic and tactical suggestions provide small, medium, and large businesses choices on how to go international. Mr. Barry is also the upcoming keynote speaker at Michigan Business Network's September 7th, International Business Luncheon, at Eagle Eye Golf Club, Bath, MI. Hosted by Tomas Hult, this segment of the globalEDGE Business Beat is an interview with Charles W. L. Hill, Professor of Management and Organization in the Foster School of Business at the University of Washington, where he also holds the Hughes and Katherine Blake Endowed Professor in Business Administration. Tomas Hult is Professor and Byington Endowed Chair in the Eli Broad College of Business at Michigan State University. Now jointly, we have the market share leader among textbooks on the topic of International Business. Hosted by Tomas Hult, this segment of the globalEDGE Business Beat is an interview with Mohamed Abdel-Kader, Executive Director of the Stevens Initiative at the Aspen Institute. Previously he was Deputy Assistant Secretary of International and Foreign Language Education in the U.S. Department of Education. Tomas Hult is Professor and Byington Endowed Chair in the Eli Broad College of Business at Michigan State University. Hosted by Tomas Hult, this segment of the globalEDGE Business Beat is an interview with Sarah Singer, Assistant Director of the International Business Center in the Eli Broad College of Business at Michigan State University. She is also a Certified Global Business Professional (CGBP) and serves on the national board of governors of NASBITE International. Tomas Hult is Professor and Byington Endowed Chair in the Eli Broad College of Business at Michigan State University. Hosted by Tomas Hult, this segment of the globalEDGE Business Beat is an interview with Kirt Butler is a faculty in the Department of Finance in the Eli Broad College of Business at Michigan State University. He specializes in international and corporate finance, and has authored a popular textbook on Multinational Finance. Tomas Hult is Professor and Byington Endowed Chair in the Eli Broad College of Business at Michigan State University. Hosted by Tomas Hult, this segment of the globalEDGE Business Beat is an interview with Ram Mudambi, Frank M. Speakman Professor of Strategy and Perelman Senior Research Fellow in the Fox School of Business at Temple University. 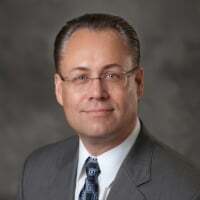 Tomas Hult is Professor and Byington Endowed Chair in the Eli Broad College of Business at Michigan State University.